Since estate planning is on my mind this week, I decided to feature a series of blogs that will give information about the many areas of estate planning in detail. With these general guidelines and information, it is my hope to lessen the stigma of estate planning so that it becomes an easier task to complete for my clients. Let’s face it. Nobody really wants to think about dying. Right? We all want to think that the day will never come and we will be here for many a day. Even if we realize that it is going to happen, we don’t want to think about it. While I wish that were the case, it is not reality. What’s left behind from our lives, other than our impressions, memories and legacies, is our “stuff.” Without proper planning, you lose the ability to control to whom your “stuff” goes, including to the federal government, and the ability to make the transition of your loss easiest on your family. Can I afford an estate plan? Follow me this month for a series of articles about the many areas of estate planning. Always remember to check out my answers to questions posted on our FAQ page, follow our Facebook page and our Twitter feed for other relevant news and check back often for more news, blogs and law updates on estate planning! 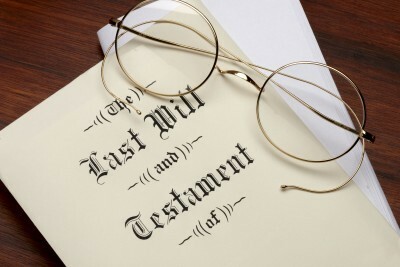 As always, contact me when you are ready to meet and discuss, or update, your own estate plan.